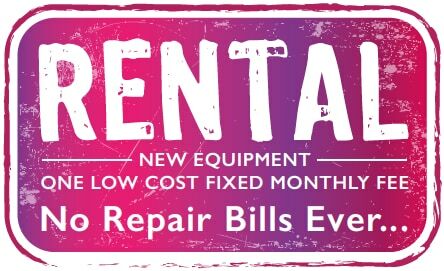 There has never been a better time to rent equipment from Laundry 365. Industry leading brands and a service backup second to none at a price everyone can afford makes Laundry 365 the only choice for renting equipment. Equipment is available from 3 - 6 years, fully supported by industry leading service and all for one low cost fixed price... guaranteed. If you can answer yes to any or all of the above then now is the time to talk to Laundry 365 and you can get the service that you deserve at a price you can afford.